Today in things that make me wish I was South African. 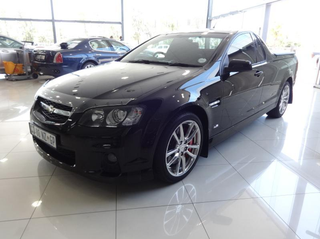 2013 Chevy Lumina SS-V bakkie. For when you’re too hipster for a Holden. Why they didn’t bring this to North America as the new El Camino, I do not understand. It could’ve been so easy. They were going to make a ute version of the G8 before Pontiac got axed anyways. Alas, one can dream. Only 12 more years till it can be imported here anyways.